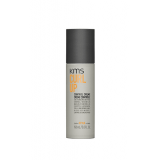 KMS Curl Up Bounce Back is a curl activating spray for firm hold and exceptional curl retenti..
WHAT’S SO SPECIAL ABOUT IT? • Shapes and bundles curls • Calms..
WHAT’S SO SPECIAL ABOUT IT? • Enhances wave formation • Creates long las..